We all knew Insomniac's latest open world adventure was a hit, but this is pretty crazy. Marvel's Spider-Man has become the fastest selling PS4 game at UK retail. If that wasn't enough, GamesIndustry claims that the superhero blockbuster is gaining on Uncharted 4: A Thief's End to become the best selling PS4 exclusive in the UK, too. Unfortunately, we don't have any raw numbers to chew on, but it's an impressive feat nonetheless. 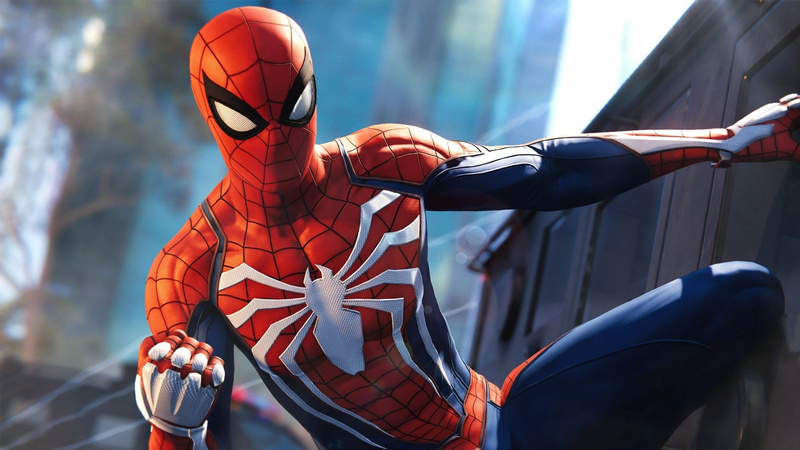 Whether Spidey can hold that lead against games like Red Dead Redemption 2 remains to be seen, but for now, the web-slinging action game is the fastest selling title on the system -- at least in jolly old England. It may have fallen out of the top 10 in the latest UK sales chart, but you can bet your bottom dollar it'll continue to be a big seller across the globe for Sony this Christmas. so good to see our SP exclusives dominate over the "trendy" MP multiplatform games. just shows that you don't need to follow a trend for a game to be a mayor success. all you need is a developer with passion for the project,and for all the questionable things sony may be doing as of late,1 thing is for sure,our console has the best devs studios out there just because they are studio's that care about the games more then the money it can make. a rare thing for most other AAA devs these days. Congrats Sony glad to be a part of them! It's weird that Sony haven't given us updated numbers for it. Like Uncharted 4: A Thief's End, Horizon Zero Dawn and God of War, which sold 2.7m in a week, 2.6m in two weeks, and 3.1m in 3 days respectively, we learned that Spider-Man sold 3.3m in 3 days, but these other games all got updated numbers. We know that God of War sold more than 5 million within a month, but we've no idea where Spider-Man is at. An educated guess could put it at around 6 - 6.5m at this point. Good on Sony. And to think I was worried this game wasn't gonna sell well. @CK97 it was a given it would sell well. the question was would it be as big as a seller as GOW and uncharted. happy that it is,tnx to the dedication from both sony and insomniac/marvel. anyway thank you kratos,spidey,nathan,ellie and joel,the hunter from bloodborne,the androids,alloy etc for a great generation so far. no matter which character or franchise players prefer,we can all agree that all sony characters and sony franchises deserve the success they have. @kyleforrester87 i'll reply just so you can be happy for the rest of the day. anyway why are his comments like this not checked on by mods because they are all the same troll posts. but yeah,not bad for a "kiddy" game eh? 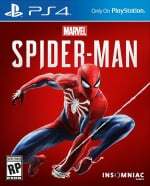 which upcoming ps4 exclusive game do you guys think will beat spider man? Congratulations to Insomniac! Spiderman was a great game, and the best Spiderman game I've ever played. @Areus well tbh i never see our exclusives as competition to eachother but when we are talking about sales,perhaps TLOU 2 could beat it. or death stranding just because of the kojima factor. Who said single player games don't sell? hold on according to EA Single Play games don't sell and we all just want multiplayer games so how can this be!!!! @JohnnyShoulder oh they sell. But they can't be as profitable as a successful "service model" game. Key word being successful. @JohnnyShoulder only the people that don't care about games anymore. EA,phil spencer (only when it fits his position will he defend SP games) etc. I a bit suprised it has beaten GOW but good for them. @Octane it's the same joke over and over again. hardly stays funny when he repeats it anytime a spiderman article pops up. was funny the first 2 times,started getting drawn out the 4th time,got just tired after the 6th time. But yes, I'm joking - sorry if it's annoying you, but take it with a pinch of salt please. It's like being at work having to explain myself like this. I come here to let off steam and relax! Amazing game! Just wished the side missions were better and not as repetitive. I just hope that the success of Spider-Man doesn't have everybody and their mother spewing out superhero games. I'm bloody sick of 'em from all the oversaturation in movies and TV! @Octane I did actually have a Spiderman toy when I was a kid, and I really bloody liked it. So take that, haters! @ApostateMage well insomniac will ofcourse make a sequel,rocksteady is working on a super hero game again and the avengers game is a thing. so that's already 3 projects about super hero's. it might become it's own genre but i don't think to many other studio's will be making super hero games. I've updated the article to make it clearer that this is purely based on UK retail sales figures. Apologies! @Flaming_Kaiser I don’t necessarily hate Sony I just wonder can Spidey or GoW get into CoD levels of sales... even if they’re exclusives... although they only needs hit 18-20ish Million copies. I was only stating some facts. I’d be interested in seeing if Spidey or GoW can outsell TLoU maybe even outsell Kinect Adventures. I got really bored with it sadly. Really happy about this news. Sony exclusives are killing it, can’t wait for the sequel already. Also, what a great year for Spidey, with Spider-Man on PS4 being a success and Into the Spider-Verse being praised by many. Even Venom was a success after all. @jdv95 Just to let you know, I do check on comments like this but there's nothing wrong with his comment. Just because someone opinion is different then yours does not automatically make it a troll comment. They are going to be genuine people out there that don't like said game for what ever reason does it make them a troll or wrong no it doesn't. They are entitled to their own opinion much as you are. It also helps to know the person as well and in @kyleforrester87 instance I know he's joking. As he said if you can't handle his posts there is the ignore button. Makes sense. The game has a really broad appeal, came out at a good time in the generation and is actually good. Here’s to hoping Tasuki and Kyle can be BFFs now! @Derpie1 That is across 3 platforms for something like CoD though. If you compare how many units it shifts just on PS4, they will not be that far ahead of something like Spider-Man. @Tasuki again twisting my words just like with that fallout article we had a discussion about. i don't care if his opinion is different then mine,it's just becoming kind of a drag to always see the same old coments of his bashing the game anytime a spiderman article comes up. even if it was a joke,which i get it is hence my previous coment about the fun dragging off after a while. but yeah,just blame me for not being able to accept other people's opinion again. Never have i looked so good in spandex! @playstation1995 good job on falling for the bait guy. @jdv95 No I am not twisting anyone's words, but you can't expect me to jump down someone's throat, delete.comments, ban etc just cause you don't agree with their opinion or are dragged down by it, that's why there is an ignore button. Quite frankly I am getting a bit tired of people labeling others as trolls just because they don't share the same opinion. That is not a troll. @kyleforrester87 How come you don't like Spiderman? I have a feeling it's the derivitive rollout of the side content and by the numbers upgrade paths, something gaming has suffered with this gen. However within this mould with limited gaming time, for me it's almost perfect. @Weegee71 your avatar is amazing. @themcnoisy pretty much, it's nothing really personal with Spiderman, although I'm not that big on superheroes generally (this rumoured Superman game did absolutely nothing for me). But yeah it's more my fatigue with generic open world games. I like the developer though and the traversal looks like fun. I did try to voice my issues with it more reasonably initially but got jumped on for "being a hater". Glad to have you back mate, this place hasn't been the same without you. @ApostateMage Just don’t buy it then, problem solved. Funny how some people complain about this, but not multiplayer games only, GaaS, mobas, etc. @PS_Nation I don't mind the Bats but all the others are bad meffs. @kyleforrester87 It's great swinging around. Its a better game than infamous second son but very much in that mould, so you have x type of things to do in the various districts. The story is entertaining for sure so you should pick it up. To be fair, other than Yakuza I haven't played a story driven game to completion since HZD. I definitely will finish Spiderman so it must be good. As for hanging around in the comments I have a bit of time until January. Then I will be a ghost until the same time next year. Hopefully dreams will be released and that can tie in to my course work!